The company is a major Manufacturer, Exporter & Supplier of Manual Strapping Tool. The Manual Packaging Tool is highly effective for manual strapping applications for several industries. 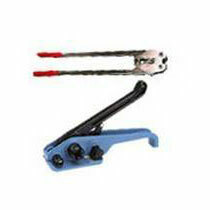 The range comprises of a wide range of Manual Strapping Tool that have ergonomic design with a rubber handle. Apart from it, these Manual Strapping Tool are designed for strapping both round or flat surfaces.